Classic collection of 1980's Retro Sweets. 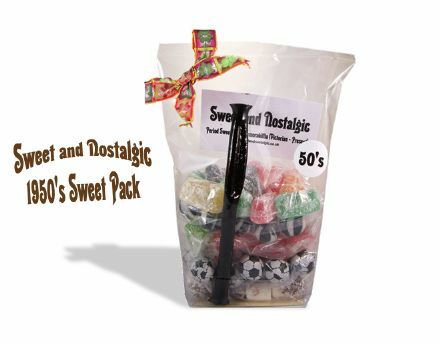 Carefully crafted into a beautiful gift pack, every pack is individually hand assembled by us at Sweet and Nostalgic. Unique 1980's Gif Idea. Save even more on our multi buy option where you can mix and match across our decades, or order bulk qty's. Perfect 1980's gifts for events and companies. 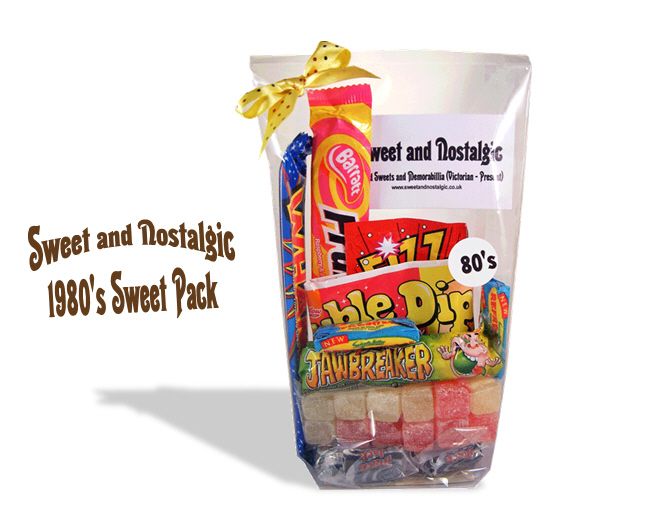 If you are looking to buy bulk quantities of our 1980's retro sweet pack we can offer discounts. If you want us to replace our branding business card with your own. We are happy to do this if you provide the cards prior to assembly ( minimum of 100 units apply, please contact us for corporate and event requirements). 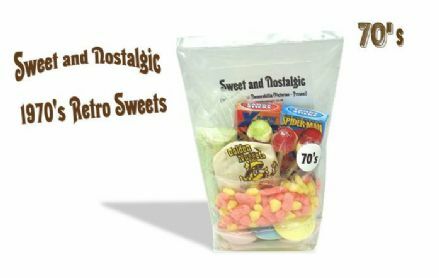 Have you seen our other Retro Sweets Pack in the range ? Classic collection of 1940's Themed Sweets. Carefully crafted into a beautiful gift pack, every pack is individually hand assembled by us at Sweet and Nostalgic. A Unique 1940's Gift. Save even more on our multi buy option where you can mix and match across our decades, or order bulk qty's. Perfect 1940's gifts for special events and corporate gifts. Classic collection of 1950's Retro Sweets. 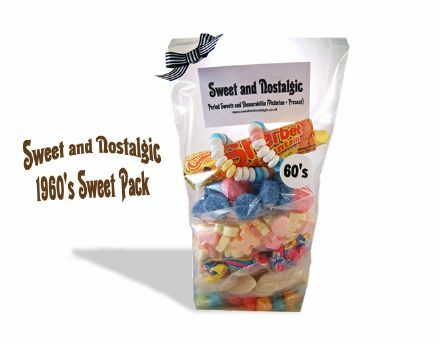 Carefully crafted into a beautiful gift pack, every pack is individually hand assembled by us at Sweet and Nostalgic. Unique 1950's Gift. Save even more on our multi buy option where you can mix and match across our decades, or order bulk qty's. Perfect 1950's gifts for special events or corporate gifts. Classic collection of 1960's Retro Sweets. Carefully crafted into a beautiful gift pack, every pack is individually hand assembled by us at Sweet and Nostalgic. Unique 1960's Retro Gift. Save even more on our multi buy option where you can mix and match across our decades, or order bulk qty's. Perfect 1960's gifts for special events and corporate gifts. Classic collection of 1970's Retro Sweets. Carefully crafted into a beautiful gift pack, every pack is individually hand assembled by us at Sweet and Nostalgic. Unique 1970's Retro Gift. Save even more on our multi buy option where you can mix and match across our decades, or order bulk qty's. Perfect 1970's gifts for events and companies.